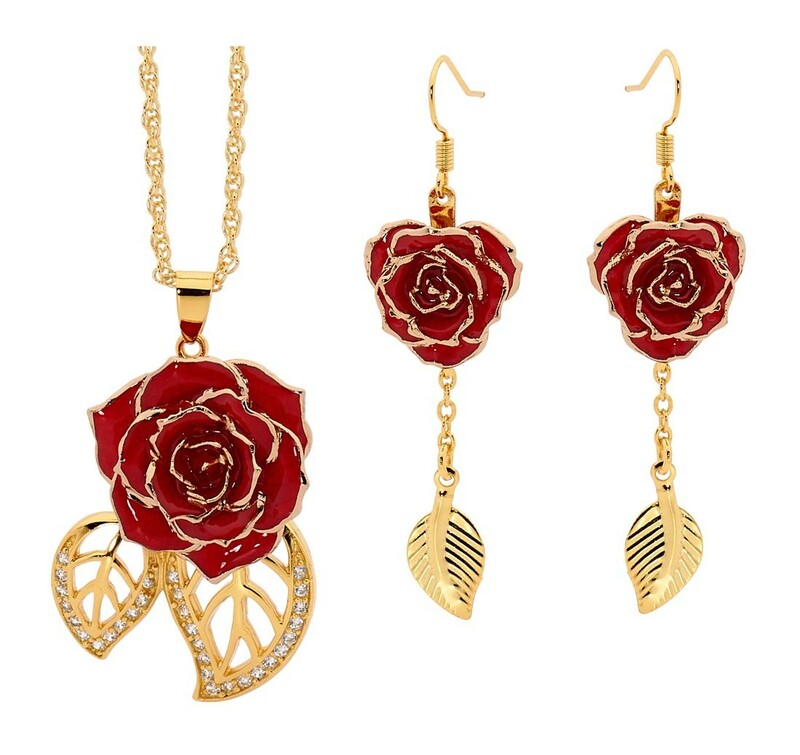 This gorgeous pendant and earring set is crafted from genuine red miniature rose petals and pure 24 karat gold. 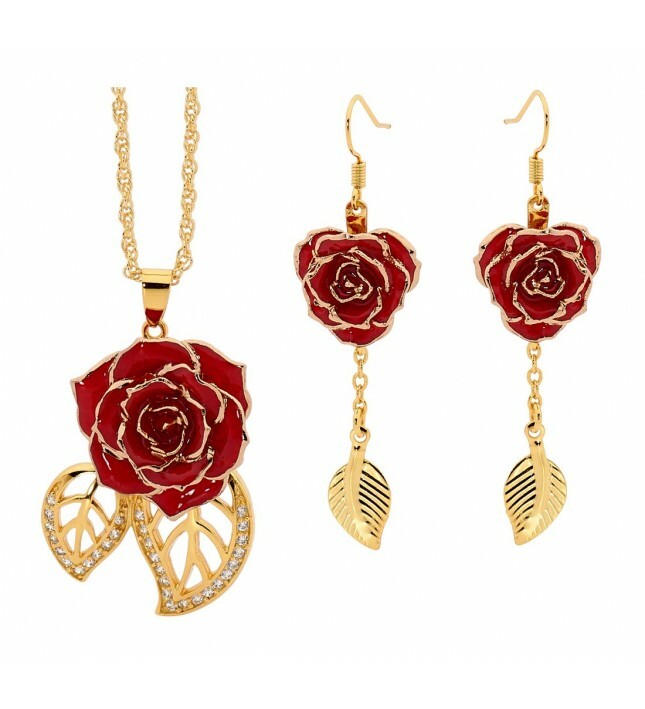 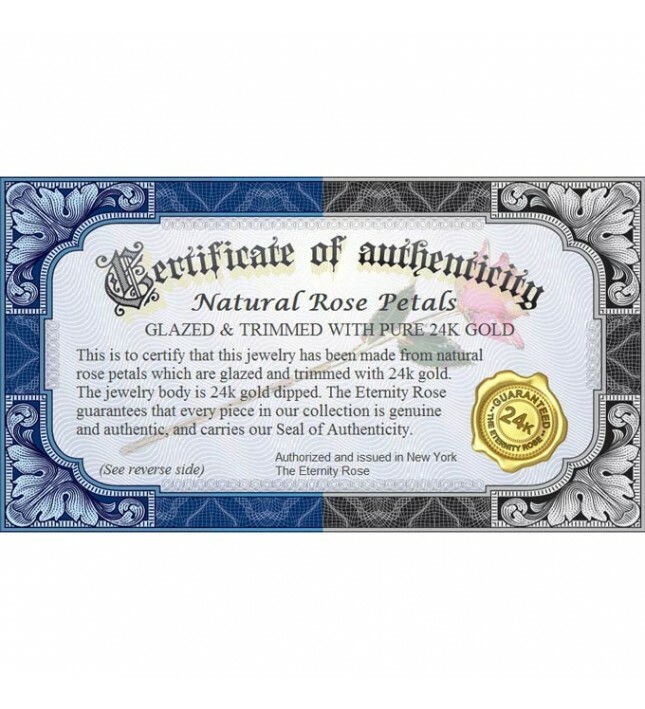 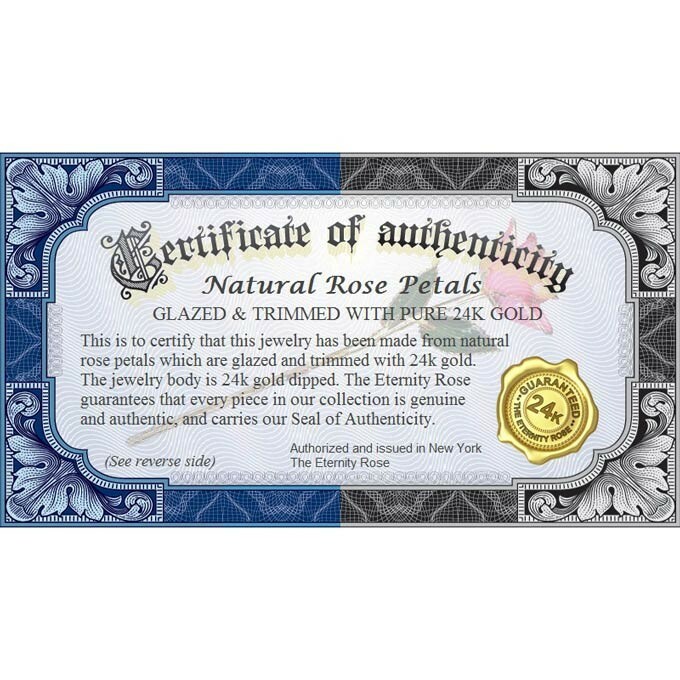 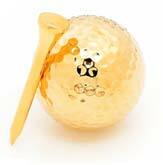 A stunning pendant, designed using natural red miniature rose petals, glazed and trimmed with the finest 24 karat gold. 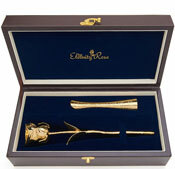 An elegant gold-dipped multi-link chain is supplied as part of the set. 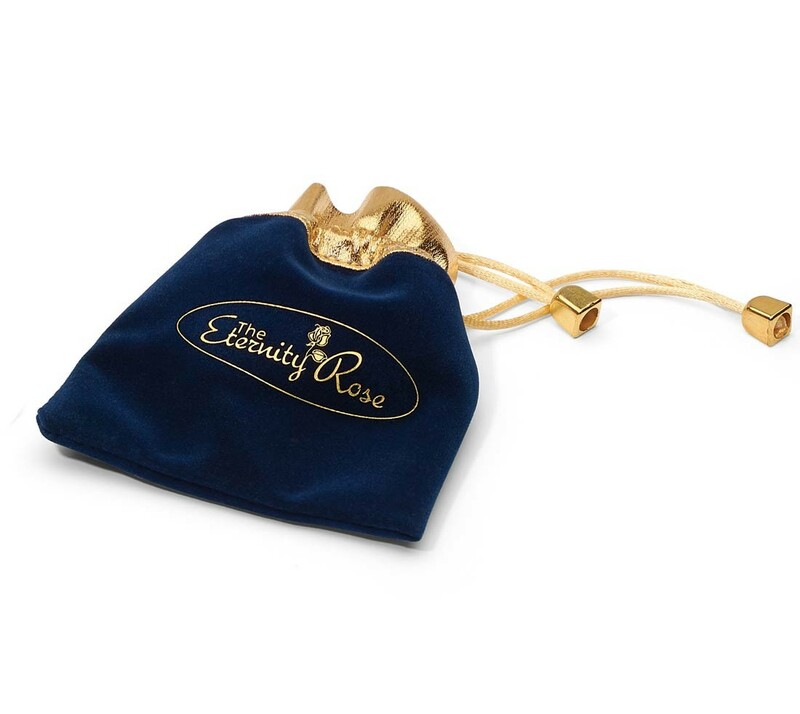 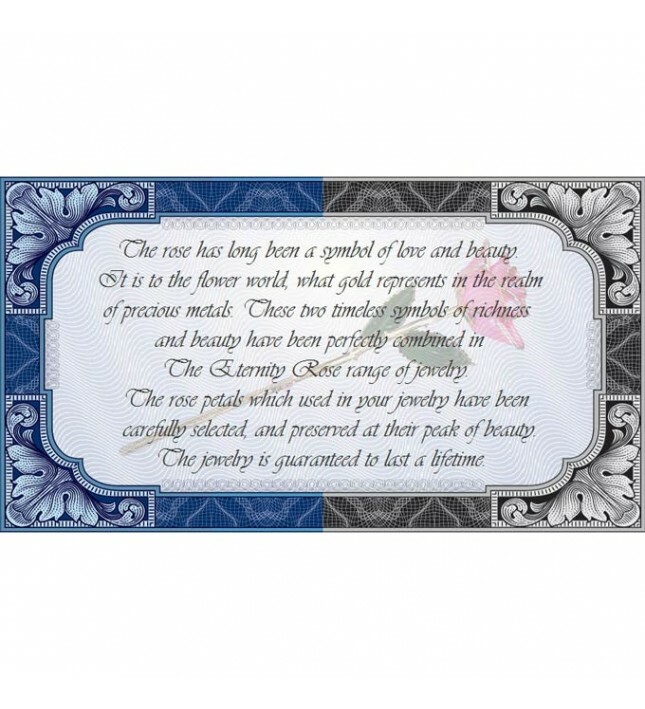 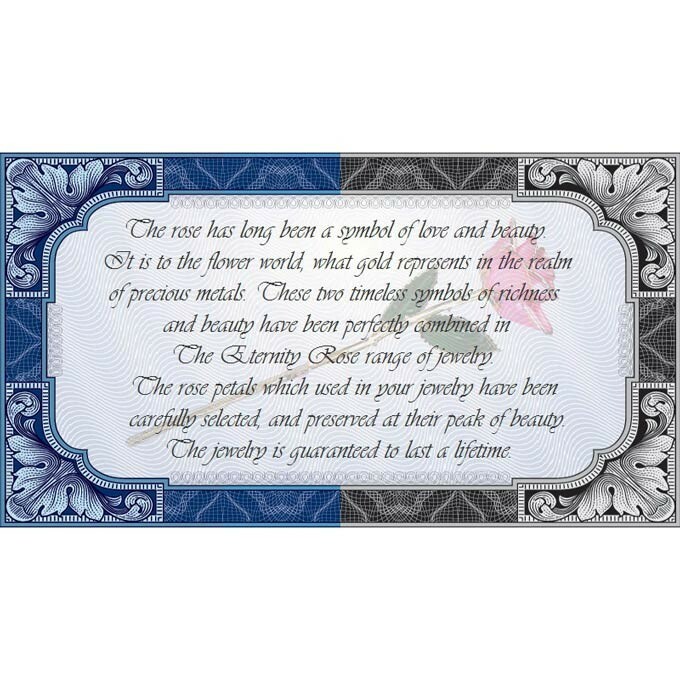 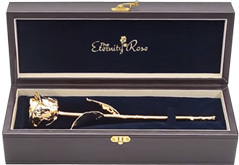 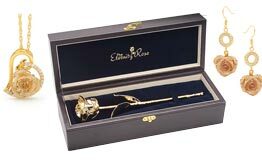 The pendant features a 3/4" miniature rose head twinned with two leaf figurines made from 24 karat gold and studded with 30 sparkling synthetic diamonds. 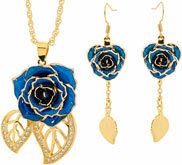 The pendant and earrings in this set are available separately.